I love fortune cookies. I might not always get good fortunes, but it’s always fun to know that there’s something waiting for me inside my cookie. And now you can experience the same thing with your cupcakes – provided you don’t peek into the fortune wrappers that you’re putting the cupcakes in, that is. 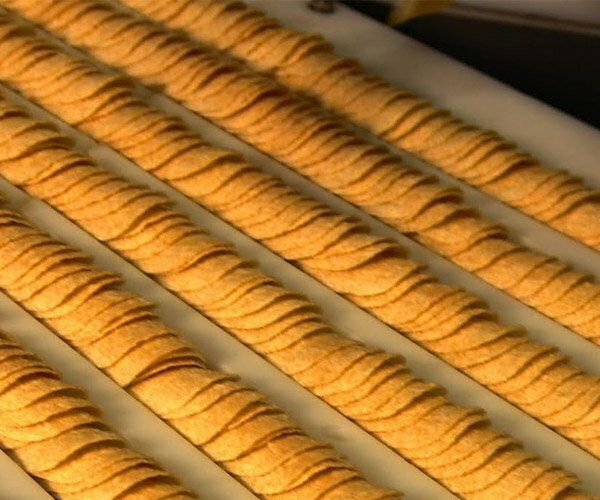 If you’re into baking, then you can get one of these Fortune Cupcake Kits that comes with a Chinese-style takeout box along with 30 cupcake wrappers and 75 cupcake liners so you can churn out fortune cupcakes like a well-oiled fortune cupcake factory. It’s possible to reuse the wrappers (and basically reuse the fortunes) if they stay intact after your guests have consumed the cupcake inside. 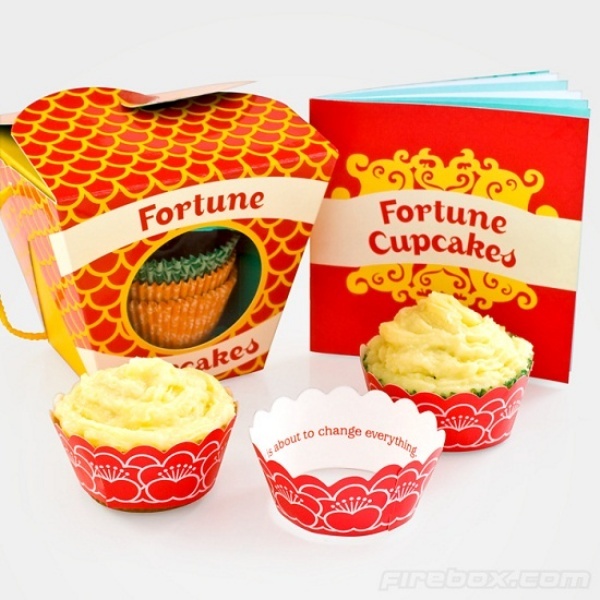 The Fortune Cupcake Kit is available online from Firebox for £10.99 (~$18 USD).